Don’t let a clogged kitchen sink make it take longer than necessary to clean up after a meal. Homeowners may feel like they are at the mercy of their residential plumbing, but that’s simply not the case. Most clogs can be prevented with a little knowledge and extra-special care. 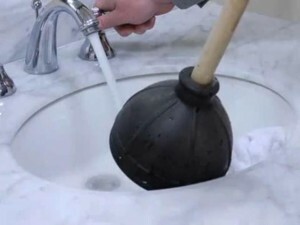 Here are a few tips from your local Carson plumber to keep your drains clog-free. Is your kitchen counter cluttered? Do you tend to leave scraps and packaging material laying around while you cook? You’re certainly not alone. People do this every day because it’s convenient. The problem with not picking up after yourself as you cook or leaving counters cluttered with items is that sometimes objects fall into the sink without us knowing. This can easily create a problem that leads to a backed-up kitchen sink. It’s easy enough to forget this simple tip. After all, cooking oil and grease are liquid substances, right? They should be able to be rinsed down the sink with no problem. The problem is that these substances are only liquefied in a heated state. As the substance cools, its composition changes and it hardens. Grease and cooking oil, even in the liquefied state, tend to stick to the sides of water pipes. So, as they harden, they narrow the pathway for water to flow. Over time, the pathway will become smaller and smaller until a full-fledged blockage forms. At Carson Plumbing Champs, we recommend keeping a glass jar nearby to pour cooking oil, grease, and cooking drippings into. You’ll save yourself a lot of headaches and money. Call Your Carson Drain Cleaning Plumber Today! Don’t wait around for that clogged kitchen sink to clear itself. Call your licensed drain cleaning plumber in Carson today. We offer free estimates, affordable drain cleaning packages, and 24/7 service. Pick up the phone at your earliest convenience and take back your home’s plumbing. Anyone who owns a house long enough will have to deal with plumbing problems that are the cause of poor drainage. 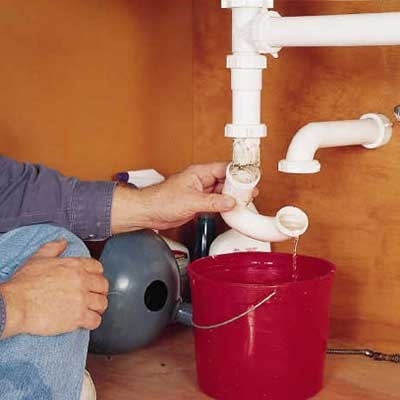 Addressing these types of household plumbing issues in a timely manner will save you a great deal of time, money, and frustration. At Carson Plumbing Champs, we know there are many different ways to approach a clogged drain and pipe inspection cameras are our go-to tools of the trade to make this process quicker, easier, and more effective. There are numerous benefits that come from using this technology including giving plumbers the ability to see clogs that are otherwise hidden and come up with a plan to fix the issue without delay. Before pipe inspection cameras, plumbers had to rely on elimination and guesswork, which made the process of clearing a clogged line tedious and not always accurate. Although many people think plumbers only use cameras to find obstructions in the line, this technology can also allow the technician to find cracks. A cracked water line can lead to expensive water pipe repair if not caught in its early stages. This is just another reason why homeowners benefit from regular pipe inspections using the latest technology. At least once a week, we get a call from a panicked customer who has lost a valuable item down the drain. Not all items are recoverable, but if you didn’t flush the toilet or run water down the sink, with the use of a camera it may be possible to find the missing item without taking apart every inch of plumbing. If you’re interested in learning more about the benefits of pipe inspection cameras, give your local, licensed plumber in Carson, CA, a call today. We’ll be happy to discuss all your plumbing repair and maintenance options.